For Issue 8 Each editor was asked to pick a theme. Karolyn Gehrig will be reading nonfiction on the theme of Bodies of Evidence. Read on to learn more. 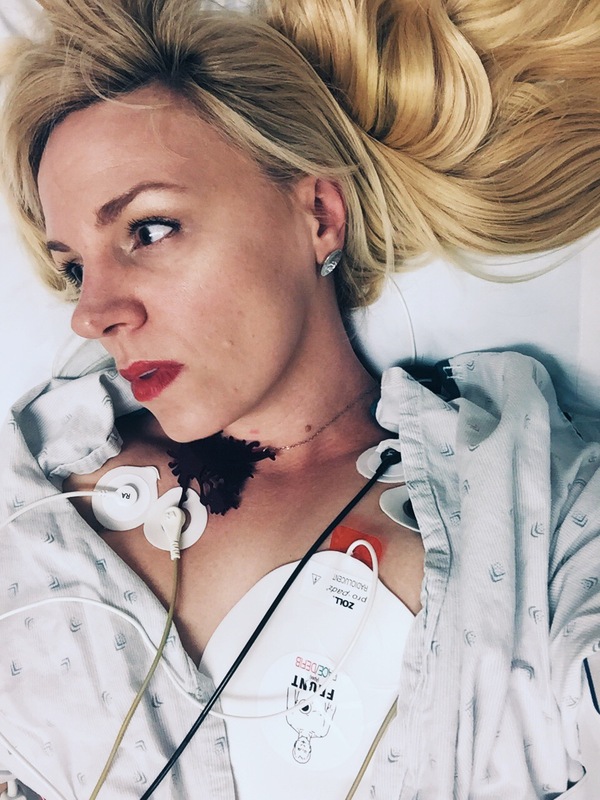 Karolyn Gehrig, our nonfiction editor for issue 8, is a queer disabled artist, writer, advocate and performer known for creating #HospitalGlam, a social media based movement which uses site specific self photography to reclaim clinical space and boost disabled voices. Born in Queens, New York to a set of New York City Police Officers, her work frequently explores violence, spatial politics, and bodily autonomy. Her work has been featured in the Huffington Post, BuzzFeed, The Guardian and many more outlets. This year, she presented at Stanford’s Medicine X, BinderCon and accepted an invitation from the President to attend a White House reception for Women’s History Month. She currently lives in Los Angeles, where she performs at storytelling shows and moderates a semi-active hummingbird feeder outside her window. I’m excited to read voices I haven’t heard, and have often felt that nobody would want to hear my voice as a queer disabled survivor of violence. My hope is this identity brings a deluge of submissions from other disabled voices, and the directive to read dangerously is, frankly, too tempting to pass up. Submit your nonfiction to Karolyn here. Tags: #HospitalGlam, Issue 8, Karolyn Gehrig, nonfiction. Bookmark the permalink.